Growing old with grace is the wish of many. Seeing those wrinkles appear on one’s face can trigger a multitude of feelings because those lines don’t reflect the youthful feelings inside. Nowadays there are many ways to keep wrinkles and lines in check. One of those ways is with Botox. If you have always wanted to try Botox, but thought it was out of your budget, BodyLase has a great way to save. 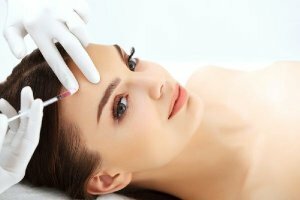 BodyLase is the only Med Spa in the Triangle to offer a VIP Botox membership. This 12-month membership gives you not only discounted botox treatments but also discounts for many other treatments and products. Also, there are specials just for botox members. This month BodyLase is highlighting laser services. Whether it’s the hair on your legs or facial hair that has become a chore to shave or wax there is a permanent solution – laser hair removal. With only six sessions you can be free of razors and hot wax forever. No more nubs or ingrown hairs just beautiful smooth skin. Fraxel is a great way to reclaim youthful looking skin without surgery. This treatment is the gold standard for improving wrinkles, irregular skin texture, sun spots, age spots, acne scars, and surgical scars. Rejuvenate your problem areas and enjoy the results. Need a treatment with no downtime, but excellent results? Then the IPL Photofacial is your answer. This treatment results in a healthy skin glow and is especially useful with red flushing skin, rosacea, and broken capillaries. It also gives excellent results for sun spots, age spots, sun damage, and uneven skin tone. Healthier looking skin is only an appointment away. Start your journey to aging gracefully with a little help from BodyLase and do it on a discount by joining the VIP membership. For more information or to schedule a consultation, contact BodyLase at 919-954-2288 (Raleigh) or 919-851-8989 (Cary).